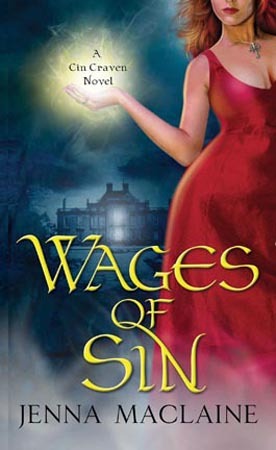 tasting ‘wages of sin’ | Kris + Books = Good. *Sometimes*. It occurred to me the other day that I haven’t really talked about any of the books I’ve read which I either didn’t enjoy so much or were a DNF. To be frank, I’m just not interested in getting too bogged down in reviewing and rating books on my own blog, especially the ones that may have been so-so. I know myself well enough to realise I could easily slide down the path of other well known review sites I refuse to visit by becoming insulting, obnoxious and pretentious under the veneer of so-called humour. That being said, I also want to be honest (to others and to myself) and talk about why some books hit or missed with me. It’s not something I intend to do very often, but I think my ‘tasting’ format will let me do this and still give you all enough information to make a decision about whether or not you want to try the story for yourselves. I’m always on the lookout for new authors to read and this looked interesting. Dislike~ I read the blurb and expected urban fantasy. As soon as I started reading the story I realised it was historical. Those of you who’ve become familiar with my tastes realise I’m not a huge fan of historical fiction. I have to be seriously in the mood for it and even then I have my authors who I prefer to read. I felt blindsided and unfortunately because of this couldn’t get into the story. Like~ The author’s writing style is very readable/ accessible/ whatever… you get the point! Dislike~ I kept reading and thinking to myself when are they going to start calling her ‘Cin’?? I know; it’s such an utterly ridiculous thing to get stuck on! I also vaguely wondered why they would call her that because she seemed pretty righteous to me. *shrugs* No doubt I would have found out later in the book. Like~ I liked the secondary characters. In fact, I liked them even more than I did the main characters, who I couldn’t really connect with. I particularly enjoyed the housekeeper (mother) and companion (daughter) to the female protag and their relationship with her. Although this was a DNF for me, I think it will appeal to those interested in an historic spin on the urban fantasy/paranormal romance genre. This entry was posted in dnf, jenna maclaine, m/f, tasting. Bookmark the permalink. Do you think this author was trying to hang onto the coat tales of the success of the Colleen Gleason novels?On another note, how often do you DNF a book? There’s something in me that refuses to drop a book I’ve paid good money for, even if I’m not enjoying it. I sometimes leave a book for a few days and come back to it (I may do this several times) but in the end, I read to the last page.If I’ve got a book for free or from the library then I often DNF if I don’t like it, just not one I’ve paid for.Hmmmm, it’s the old Yorkshire tightfistedness again, I think! I have only about 3 or 4 that I haven’t finished. That I paid for. I may yet, they are always there waiting but sometimes something will just turn me off, a theme even, not necessarily bad writing and I can’t finish it. Oh wait, plus the 2 that I really should click delete on but I can’t seem to make myself do it. Jen: Hmm, not sure. I don’t know enough about CG’s stories to see if there are any similarities.Re: DNF – I’ve had 2 or 3 I think this year. All have been print and, yes, I’ve resented the hell out of not finishing them because of the money I’ve spent on them. Problem is I get even more annoyed with a book if I try to finish it. I end up needing a hiatus from reading afterwards. Tam: My rule of thumb is if I put a book down thinking I might give it a whirl again and it’s still sitting there a week later… not going to finish it. Ever. It goes immediately to my books for the secondhand shop stack.I can’t delete ebooks. I. Just. Can’t. Whenever I back up my home office computer I take the opportunity to ‘get rid of’ all the ebooks I don’t consider to be part of my keeper collection.